Fairies and trees have had a long connection in mythology and folklore. Today I'd like to take a brief look at a selection of trees and the main fairylore associated with them. I would note that this folklore can be convoluted as the trees themselves were often reputed to have spirits, much like we might understand dryads in a modern context, but beyond this tree-spirit could also be home to or associated with other fairies. These other fairies may live in or near the particular tree but were not bound to it in the way a tree-spirit would be. If the tree were killed the tree spirit would suffer a similar fate, while the associated fairies would simply move on to another place. there are also many trees that are associated with fairies as either a protection against them or as a tree they prefer to be around. Birch- In Scotland its particularly associated with the Ghillie Dhu who was said to lurk in birch groves (Briggs, 1976). The Ghillie Dhu is a solitary fairy who is gentle and helpful but whose appearance often frightens people. In Ireland however fairies are thought to dislike birch, which is used to drive out spirits, and avoid this tree (MacCoitir, 2003). Oak- Oaks have a strong association with spirits and fairies. Most notably there is a kind of fairy called 'oakmen' who live in areas where oaks have been cut and are re-growing; they appear as short, solid looking beings wearing red hats who may dangerous to those who trespass in their woods (Briggs, 1976). There is also the well known rhyme of 'fairy folk are in old oaks'. Not all oak fairies are dangerous as one entry in the Dindshenchas discusses learning lore from fairy folk in an oak wood (MacCoitir, 2003). Rowan- Rowan berries by some accounts are the food of the Tuatha De Danann and by extension some people see them as the food of the fairies in general. Rowan is seen as both a protection against magic and also a conduit for magic, appearing in folklore as a charm against fairy magic and witchcraft but also in stories we see rowan wands used to cast enchantments. Elm- A communal tree it was believed if one elm was cut down the others would die from grief (Briggs, 1976). The spirits of the trees were so tightly bonded that the death of one would doom them all. Hawthorn- Strongly associated with the Good People it is believed that its unlucky to bring hawthorn into a home. 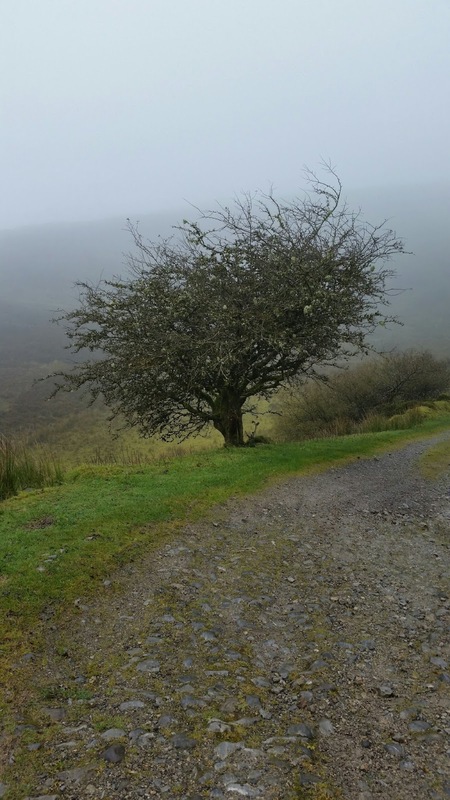 A lone hawthorn growing in a field is often considered a fairy tree and it is dangerous to bring harm to such a tree because to do so will invite the wrath of Themselves. It's an old custom to leave gifts for the Other Crowd at the base of a lone hawthorn (MacCoitir, 2003). Blackthorn- Guarded by fairies called Lunantishee who punish anyone who tries to cut blackthorns on Samhain or Bealtaine, going by the old dates which would be Nov 11 or May 11 (Briggs, 1976). MacCoitir suggests that Lunantishee may be an Anglicization of Leannán Sí, connecting the Blackthorn to the concept of fairy lovers. Whether that is true or not the Blackthorn generally had a grim reputation, seen as a dangerous tree that should not be messed with, although like so many others it also had protective qualities. Ash- Mentioned as a protection against fairies in folklore the Ash was used to reverse or treat maladies caused by fairies (MacCoitir, 2003). These beliefs accorded the tree extra respect, so that it was not burned, some lore relating that any who burned the ash would lose their home to fire (Briggs, 1976). Some stories also mention a person's soul being trapped in an ash or otherwise placed in it. Willow- It was said that willows walked at night and would follow people travelling alone, and their reputation was overall malevolent (Briggs, 1976). This may connect the Willow more general with water fairies who had a reputation for being dangerous and mercurial like the water itself. Lady Wilde suggests that willows speak in music. Elder - In England and Scotland the Elder is a protection against witchcraft and evil beings; said to be home to fairies of good intent (Briggs, 1976). In Scotland the sap of the Elder was believed to grant the ability to see the Fairy Rade on Samhain, if the person then stood beneath an Elder (MacCoitir, 2003). In alternate folklore elders are said to be shapechanged witches. Elders are another tree that it is generally believed should never be burned or ill luck will follow the person. In Ireland the Elder has a darker reputation, being associated with both ghosts and seen as a wood that invites fairy mischief; in Ireland and the Isle of Man its believed that fairies ride on Elder twigs and branches (MacCoitir, 2003). This is only a small selection of trees and some related fairylore; it is by no means exhaustive. I hope though that it illustrates some of the beliefs we can find associated with different common trees, and the way that fairy beliefs intersect with our everyday lives. Trees are all around us, even when we live in the city they can be found, and where there are trees there is folklore and fairylore. I just recently planted a hawthorn in my yard to honour my relatives from my fae life. It is only small right now (about 30cm) Its currently potted to protect it from any crazy weather we have here in Australia, but I do plan to create my garden around it so it provides shade while I am communicating with them as well. I've also been hunting for a rowan which is a bit more difficult to find.... a lot more expensive too. There is a willow not far from my house and I did visit one night to leave an offering... Maybe it was a kangaroo, but there was a loud thud which sounded a bit like stamping in the earth and I haven't been back there since unless it was daylight.